Until recently, I shared a widely held opinion that the Bolshevik Party of Russia towered above other members of the early Communist International as a source of fruitful political initiatives. However, my work in preparing the English edition of the Comintern’s Fourth Congress, held at the end of 1922, led me to modify this view. (1) On a number of weighty strategic issues before the congress, front-line parties, especially the Communist Party of Germany (KPD), played a decisive role in revising Executive Committee proposals and shaping the Congress’s outcome. Duncan Hallas wrote of the Comintern’s failure “to emancipate the pupil from excessive dependence on the teacher.”(3) A similar view is advanced by historians hostile to the Comintern tradition, although they regard Bolshevik influence as not helpful but calamitous. In recent years, a new generation of historians has focused attention on the dynamics of Comintern member parties, stressing the influence of their worker ranks and the parties’ relative autonomy. Kevin McDermott and Jeremy Agnew present the view, widely held among these historians, that “strategy was defined in Moscow, but tactics, to a certain extent, could be elaborated on the ground by the parties themselves.”(4) However, the record of the Fourth Congress suggests that at least in 1922, the influence of front-line parties was felt in determining not only national tactics but international strategy. The united front issue as a whole. Five days before the congress began, Fascist chief Benito Mussolini took power in Italy, after a two-year rampage of state-encouraged Fascist violence against the workers’ movement. Fascism was something new, but right-wing violence was a familiar threat. Advanced workers in Italy built a promising national movement of defense guards to fend it off, called the Arditi del Populo. Unfortunately, both the Italian Communist and Socialist parties denounced the Arditi and banned their members from taking part. The Italian Communists opposed in principle taking part in defense guards not organized by their own party. In Moscow, Nikolai Bukharin persuaded the Comintern Executive to write the Italian comrades calling for participation in the Arditi. The Italian party brushed off this advice, however, and Executive dropped the matter. At the Fourth Congress, leading Bolsheviks said nothing about the need to resist Fascist attacks, while Comintern President Gregory Zinoviev hailed the Italian party’s conduct as worthy of “the most important chapter” in a “policy manual for Communist parties.”(5) This astonishing endorsement confirms Paul Levi’s fears when the Italian party was formed: the Executive had indeed become the prisoner of the Italians’ ultraleftist course. It was the German party that took the initiative to correct this error. Two days before the opening session, it adopted a motion instructing its delegation to “urge an international campaign against fascism, in its different forms.” This need was raised during the congress proceedings by a number of delegates from Germany, Switzerland, and Czechoslovakia. Yet the discussion was not joined in plenary or commission sessions. It was not until seven minutes before the end of his summary on the Italian question that Zinoviev inexplicably changed course, accusing the Italian party of “gross errors” with regard to fascism. (6) “We must become a vanguard of the entire anti-fascist struggle” and get involved with “confused forces” such as the Arditi, he said. Zinoviev stopped short of endorsing an anti-fascist united front, but the Executive adopted and implemented such a policy soon after the congress. In summary, the two contending positions on anti-fascist defense were advanced by the Italian and German comrades; the Executive vacillated between one and the other. In mid-1922, the Comintern executive began work to develop a program for the International. Bukharin opposed including transitional demands in the program on the grounds that they concerned merely tactical matters. Czech leader Bohumir Šmeral and Clara Zetkin of the German party argued for their inclusion, and the debate was referred to the Fourth Congress. At the congress, Bukharin reiterated his view. A second report, by German Communist August Thalheimer, argued for inclusion of transitional demands in the program, stressing the dangers of a “separation of tactical principles from goals,” a characteristic of the Second International “that opened the door to their descent into opportunism.”(8) A few days later, Bolshevik leaders endorsed Thalheimer’s position, as did the congress, with Italian delegates dissenting. German party leaders had obtained an open repudiation of the position of a leading Bolshevik on a principled issue. A parallel debate concerned Zinoviev’s notion that a Labour Party in Britain would constitute a workers’ government. The German delegation introduced an amendment that sought to refute illusions on this score. A similar alignment of forces took shape around differences on how to apply the united front policy that the Comintern had adopted a year earlier. The German party majority favored engaging in negotiations, when appropriate, with leaders of the Social Democratic parties and unions. The German minority and its allies were critical of such efforts and stressed the need to build the united front “from below.” The Italian, Czechoslovak, Polish, French, British, and U.S. parties were actively involved in the debate. Once again, Radek blocked with the German majority; Zinoviev was closer to the minority’s views. The final resolution took an intermediate position, acknowledging points made by both sides. The term was new, but the concept had been endorsed at the Second Comintern Congress in 1920, with its call for support of national-revolutionary forces in the colonies. It was given life at the subsequent Congress of the Peoples of the East in Baku, which responded to moves by national revolutionaries across Asia to link up with the Bolshevik-led revolution in Russia. At the Fourth Congress, the need for an anti-imperialist united front was first voiced by the Indian delegate M.N. Roy. 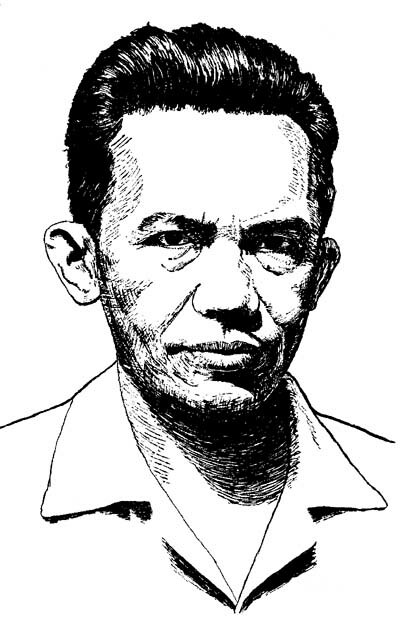 Tan Malaka, from the Dutch Indies, recounted his party’s success in forging such an alliance with Islamic anti-imperialists, and called for the Comintern to endorse engagement with pan-Islamic forces. This call was echoed by Tahar Boudengha of Tunisia, who also denounced the chauvinism of the French party’s members in Algeria. Two black delegates from the U.S. called for the building of a revolutionary movement among blacks in every continent. Many delegates from Asia denounced the inadequate attention to colonial liberation in the metropolitan parties and the Comintern congress itself. Congress resolutions incorporated proposals from colonial delegates on several key points. The facts I have related can be interpreted differently, with Bolshevik leaders seen as the central actors. After all, Bolsheviks gave the main congress reports; Zinoviev and Radek dominated the proceedings. The congress resounded with calls for more centralism, more authority to the Moscow Executive. Certainly, in all the main discussions, we see an interplay between Bolshevik leaders and spokespersons of front-line parties. Here are four reasons, however, to consider the front-line parties as the more dynamic force in this partnership. Comintern leaders almost never refer to Bolshevik experience or quote from Bolshevik leaders in debating political policy. Even when there are obvious precedents for a policy in Bolshevik history, this is rarely mentioned. The divisions in the Comintern do not relate to any perceptible differentiation within the Bolshevik party. In almost every major debate, the Bolshevik leaders assigned to the Comintern are divided. Moreover, their alignments are not consistent; they shift over time and according to the issue. Clara Zetkin made much the same point a month later in a well-known letter to Lenin. The ECCI was “far too cut off” to do more than “recognise the broad lines of development,” she said. It “cannot possibly survey all the concrete circumstances that must be considered.”(15) Surely the conflicting views, for and against the united front, could only have been developed in the heat of the struggle. Disagreements related to the united front and related issues can be traced back to 1920, the year that the Comintern truly began to function. During this year, the postwar revolutionary upsurge in Europe began to ebb. Many communist workers believed that a renewed offensive, with greater audacity, could carry the day. This mood was first formulated by Bela Kun and other Hungarian exiles. Others, with Paul Levi in the lead, sought to counter with a strategy that could enable Communists to win the mass support needed for victory. These currents, both endogenous to the workers’ movement outside Russia, provided the impulse for the ideas debated in Moscow. Finally, with regard to our panel today. The main proponents of united front policy in Germany – Levi, Zetkin, Heinrich Brandler, Ernst Meyer, August Thalheimer, Edwin Hoernle, Fritz Heckert, Erich Melcher – had all been comrades of Rosa Luxemburg in the wartime Spartacus League. Their record suggests that, even after the expulsion of Levi, the concern of Luxemburg and the Spartacists to strengthen ties with the broad masses of workers remained a creative force within the Comintern. This working paper was presented as part of the International Communist Movement stream of the Eighth Historical Materialism Annual Conference in London, England, on November 10, 2011. 1. John Riddell, (ed.) 2012, Toward the United Front: Proceedings of the Fourth Congress of the Communist International, 1922 (hereafter TUF), 1922, Leiden: Brill. 2. Tony Cliff, 1979, The Bolsheviks and World Communism, in Lenin, Volume 4, London: Pluto Press, pp. 54–7. 3. Duncan Hallas, 1985, The Comintern, London: Bookmarks, p. 71. 4. Kevin McDermott and Jeremy Agnew 1997, The Comintern: A History of International Communism from Lenin to Stalin, New York: St. Martin’s Press, pp. 24–26. 7. Leon Trotsky 1973, The Transitional Program for Socialist Revolution, New York: Pathfinder Press, p. 75; Comintern 1921, Protokoll des III. Kongresses der Kommunistischen Internationale, Hamburg: Verlag der Kommunistischen Internationale, pp. 475–6; Alan Adler (ed. ), 1980, Theses, Resolutions and Manifestos of the First Four Congresses of the Third International, London: Ink Links, p. 286. 8. TUF, 479–80, 497–8 (Bukharin); 510–15 (Thalheimer). 9. Comintern 1922, Bericht über die Tätigkeit des Präsidiums und der Exekutive der Kommunistischen International für die Zeit vom 6. März bis 11. Juni 1922, Hamburg: Carl Hoym Nachf., p. 123 (Zinoviev); TUF 167 (Radek); 1159–62 (resolution). 12. TUF, pp. 720, 735. 13. Jean-François Fayet, 2004, Karl Radek (1885–1939): Biographie politique, Bern: P. Lang, p. 352. 15. Ruth Stoljarowa and Peter Schmalfuss (eds.) 1990, Briefe Deutscher an Lenin, 1917–1923, Berlin: Dietz Verlag, 215. Very interesting post as always and a challenge to various orthodoxies. Your work on the Comintern’s Fourth Congress deserves close study from all socialists. Hopefully it will help the left break from the dogmatic and monolithic traditions that still fetter it. Indeed, most interesting and a valuable challenge to existing orthodoxy. Surely, one reason for the less than totally dominant position of the Russian comrades in the 1922 congress was the demands on the cadre to tackle the crises facing the new Soviet republic. Thus Comintern work could never be the priority. Another reason must be the the complete lack of experience of international work by the great majority of the cadre. Nevertheless, despite the weaknesses of the Russian input, the dominance of the Russian party is soon demonstrated with ‘Bolshevisation’ from the 5th congress onwards and the complete failure of parties like the CPGB in Britain to show any capacity for independent thought during the campaign against Trotsky and the efforts of Zinoviev to find ‘short cuts’ such as the disastrous Anglo Russian Trade Union Committee. Thanks, Geoff, for your interesting comment. To my mind, the Bolsheviks were always the strongest and most authoritative party in the International. If they had been ‘totally dominant’, that would have been a sign of trouble — that the International had not taken on real life. The real lesson in this was that you could not think up policy for Italian or French workers from Moscow — nor does that kind of ‘centralism’ work even today, when our ‘download speeds’ are faster than in Lenin’s time. When Moscow did start setting tactical policy, it was a sign that the International was degenerating. But Bolshevik leaders attending Comintern congresses were sufficiently familiar with the workers’ movement in Western and Central Europe so that they almost always delivered their speeches in French or German, rather than Russian. Trotsky, on one occasion, spoke in French, German, and Russian, one after another, while giving a report that sprawls across dozens of printed pages. Lenin, even when gravely ill in November 1922, spoke in German. Fascinating as always! One small example from a U.S. perspective to back up your insights, although perhaps a negative example of just how much independence the parties maintained in the early years. By 1920, the CI Executive had ordered the CLP and the CPA to merge, yet the CPA openly resisted this position for more than a year and then a substantial portion of the CPA retained an openly critical view of the CI’s policies, which they essentially never agreed were correct and said so forcefully re: legality, united front, bourgeois elections, etc. The Soviet Communist Party might not had been the omnnipotent, omniscient one but they are looked upon as intellectual authorities on Marxism-Leninism. Nobody dared challenge their wisdom until a scapegoat and traitor appeared in Soviet history in the person of Mikhail Gorbachev whose ambiguous definition of socialism as ‘socialist market’ provoked great stalwarts like Comrade Kruchykov who refuse to be taken as a fool. Mikhail Gorbachev was won over by accolades coming from the United States Congress, President Ronald Reagan and the CIA. For these, they tickled him. He was driven by a stately car into the suburbs of New York which were window dressed evading Harlem which was riddled with dilapidated shops and homes. How can we win over Russia now that a strongman authoritarian figure is in place, who can control the votes and the media. Thanks to Angel Formosa for his comment on the authority of the Russian Communist Party in Lenin’s time. Yes, they were “looked upon as intellectual authorities.” But did “nobody dare challenge their wisdom” until Gorbachev? Really? What of the record of resistance to advancing bureaucratism and Stalinism in the 1920s and 1930s? It embraced not only the majority of Bolshevik cadres but significant forces outside Russia. Of course, it was not a matter of challenging the Russian/Soviet party as such but of disputes among Communist currents. There was plenty of this in Lenin’s time as well. For example, at the 1922 world congress discussed in this article, Nikolai Bukharin and August Thalheimer, presenting counterposed reports on program, both went out of their way to criticize Lenin’s approach to Kautsky prior to 1914.